Founder, Chairman, and Chief Executive officer of Facebook, Mark Zuckerberg recently increased his personal wealth to a little under 20 billion dollars at the age of 28. He is still a ways off Bill Gates in age and money but the future will be interesting. He is one of the world's youngest billionaires and considered to be one of the most influential people by Time Magazine. Currently, Facebook has 901 million monthly active users; approximately 80% are outside of North America. Question: How is Facebook affecting the web? Mark Zuckerberg: I think it's shaping -- it's shaping the broader web. I mean, right now, if you look back for the past five or seven years, the story of social networking has really been about getting these 800 million people connected, right, so that they can stay in touch with all these people who they care about, and getting them signed up for Facebook and all that. But if you look forward for the next five years, I think that the story that people are going to remember five years from now isn't how this one site was built. It was how every single service that you use is now going to be better with your friends because they can tap into your friends. Quite often at dinner parties or other social gatherings we are asked our opinion(s). 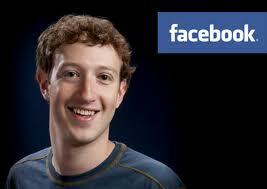 Mark Zuckerberg’s style is great for discussing a topic in a relaxed manner. Mark is ‘down to earth’ and obviously connects easily with those around him; even in an interview situation. Although his answer style is casual it is actually well crafted. I think there a few tips we can pick up from Mark Zuckerberg. Tip 1: State your Opinion Clearly. I think it's shaping -- it's shaping the broader web. Mark doesn’t mess around. Right away, he tells the listener his opinion directly. However he is unassuming, or not overbearing, because he gives his opinion with an “I think….” phrase. Mark immediately supports his belief by introducing his idea with: “I mean, … “. This speaking form used after an opinion is to clarify the speaker’s opinion/idea. The framework gives context to the details. Mark implements a short past and future time context. A humanizing language device can be used to convey a difficult topic and connect with the listener. Mark uses the phrase ‘the story of /that’ to connect with the listener. The key point to this language device is the referencing of ‘a story’. What I mean is that ‘everyone likes a story’. We have all grown up on ‘stories’. People can relate to them. For example the listener might now think (after hearing Mark’s answer): “Maybe this Internet world isn’t so difficult, boring, or cold.” Social networking has a story. All humans have a story therefore we can think of an Internet social networking platform as human. Mark’s humanizing language device is subtle but quite effective. Question: How is 3D affecting the media? Mark’s Answer style: I think it's shaping -- it's shaping the visual media experience. I mean, right now, if you look back for the past five or seven years the story of 3D has really been about creating a greater visual sense of reality for the viewer. It puts the viewer right there with the objects or characters in film. But if you look forward for the next five years, I think that the story that people are going to remember five years from now is about the horizontal movement of the 3D. 3D has moved from films to TV, games and soon onto mobile devices. Question: How is the Toyota Prius affecting the automobile industry? Mark’s Answer style: I think it's shaping -- it's shaping the broader automobile industry. the Toyota Prius has been about selling North American drivers on the benefits of the Prius vehicle. But if you look forward for the next five years, I think that the story that people are going to remember five years from now isn't how this one company successfully sold the Prius. It will be about how Hybrid vehicles disrupted the gas driven automobile market. Now try your own ideas. Here is the structure of Mark Zuckerberg’s Speaking Style to help you remember. Well until next time, try Mark’s style out at your next social event. Never be afraid to give your opinion. 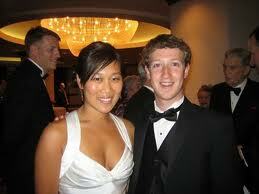 Now, sending positive wishes to Mark Zuckerberg and his new bride Priscilla Chan!